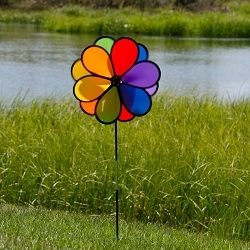 Colorful and festive luminary garden stakes! 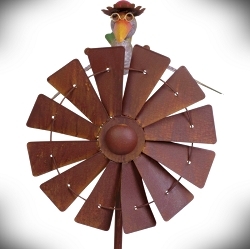 Liven up any outdoor landscape setting day or night! 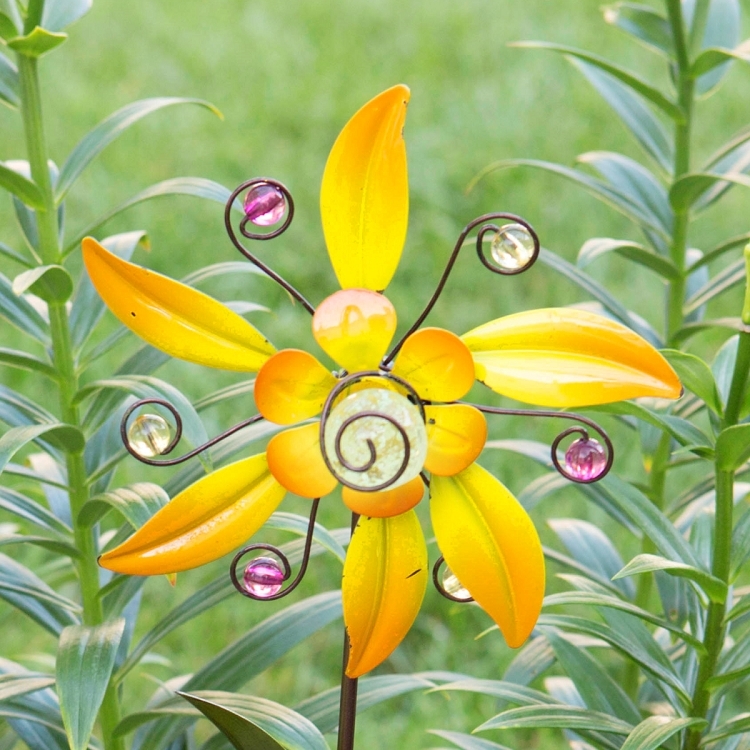 Set of 4 Illuminarie Flower Pinwheel Stakes Yellow! 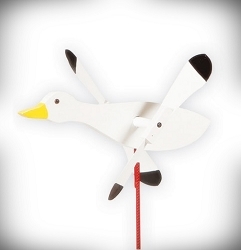 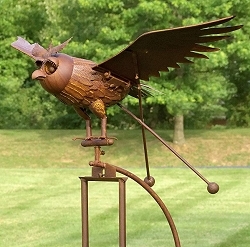 Each stake is masterfully crafted with a delicate and intricate design! 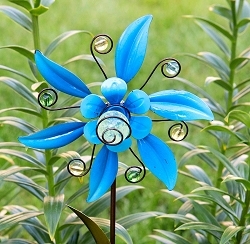 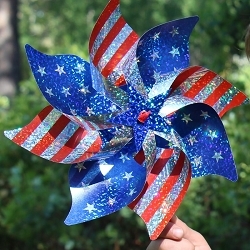 Add vibrant color and motion to a flower bed, garden or large container with the Illuminarie Flower Pinwheel. 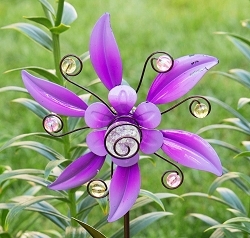 Available in three exquisite colors, each model has a glass marble that forms the bud which contains luminescent crystals that absorb energy from the sun during the day and release that energy at night in the form of a soft green glow. 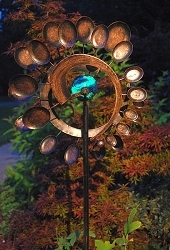 The glow intensity will gradually fade over time, but may be visible for a few hours. 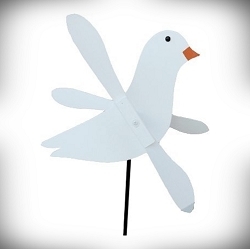 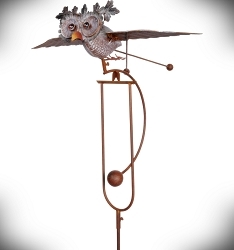 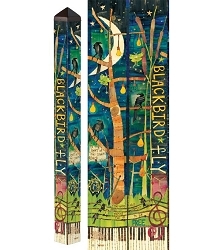 Rocking Flying Owl Kinetic Garden Stake 62"